Dance", and "Not Enough Love in the World". The Eagles recently played Calgary and it reminded me of a bygone era, a time when they did not play, and newcomers to popular music were surprised that Don Henley and Glenn Frey actually belonged to the same band at one time. It was the 1980s, and I was one such listener. However, by the end of the 1980s I knew all about the Eagles and their trials and tribulations, their successful solo members, and the great music they played, just in time for Henley's third solo album, fifth top ten solo hit, and a very familiar sound at the keyboard. I started listening to music in 1984. 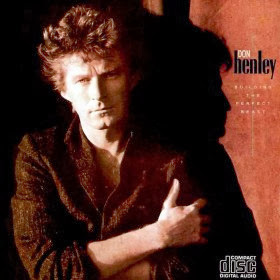 It coincided with the launch of Don Henley's single "The Boys of Summer", from his second solo album "Building the Perfect Beast", which peaked at number five on Billboard's Hot 100. Soon after there were more singles: "All She Wants to do is Dance"(which peaked at number nine), "Not Enough Love in the World", and "Sunset Grill". When I joined Columbia House, one of the albums I bought in that first batch of ten was "Building the Perfect Beast", one of the best purchases I made. It was also getting heavy play on LA-107 FM, which was album-oriented rock. That meant they played more songs off a record then just the latest single. One of the singles, a bonus single actually, which never hit the radio, may have been Henley's best ballad of all. "A Month of Sundays" documents the plight of the American farmer and was just an amazing song. For his efforts he won the Grammy for best male rock vocal performance in 1986 for "The Boys of Summer". season episode of "Miami Vice"
debut on Miami Vice and its subsequent soundtrack. Frey'ing with "The Heat is on"
Meanwhile, another artist who was getting pretty good airplay had a couple songs off soundtracks. "The Heat is On" by Glenn Frey was on the radio as part of the soundtrack of the blockbuster Eddie Murphy movie "Beverly Hills Cop". 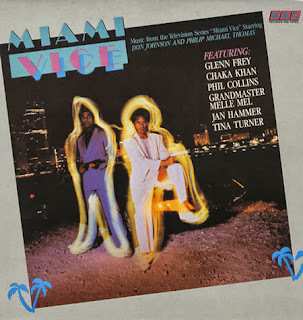 The TV series "Miami Vice", which was built on the premise "MTV Cops" used a lot of pop music, also called on Frey for his single "The Smuggler's Blues" for a season one episode. "Miami Vice" became a bit of a cult hit. The much anticipated season two premiere featured Sonny Crockett and Ricardo Tubbs, the two main characters, venturing from the Everglades to New York City. Frey's latest song "You Belong to the City" was hyped before the show. In fact it was announced it would make its world debut on that Friday night. The song would rocket all the way to number two on the Billboard Hot 100, the same feat "The Heat is On" had achieved a few months earlier. It was only after "The Boys of Summer" and "The Heat is On", back in 1985, that I discovered they had been part of the Eagles. Sure I had heard of the Eagles and some of their songs, but the music world was all new to me. The Eagles broke up in 1980 after a difficult tour and personal tensions arising from the recording of their album "The Long Run". The response by Frey and Henley any time they were asked if the Eagles would ever get back together was the same: "When hell freezes over." 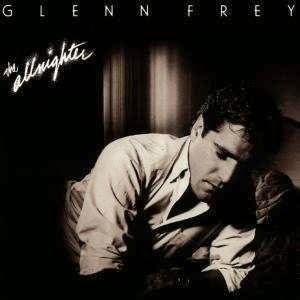 The 1980s began with the demise of Henley's partnership with Glenn Frey, and ended with a new collaboration. I recall the day I heard it for the first time. It was the summer of 1989 and I was living in res at the University of Alberta in Edmonton. I went to sleep the night before with the radio playing. When I awoke, there was a song playing. At first I thought it was a new release from Bruce Hornsby and the Range. Then I heard the vocals, and it sounded like a new Don Henley song. Which was it? It turned out to be the best of both worlds: music written by Bruce Hornsby, lyrics by Don Henley, sung by Henley, with piano accompaniment by Hornsby. "The End of the Innocence" begins with signature Bruce Hornsby piano. Henley joins in, singing the story of a man thinking back to a simpler time before everyone lost their innocence. It reminded me instantly, in style and tone, of "A Month of Sundays". Compare for yourself. "The End of the Innocence" climbed all the way to number eight on the Billboard Hot 100 charts, and to number two on the Hot Adult Contemporary chart. It still evokes powerful imagery for me, and makes some pointed political statements about that period of time in the 1980s. I have always loved piano and good storytelling. "The End of the Innocence" combines two of my favourites. It seems ludicrous now to even say there was a point where Henley and Frey were not associated with each other, and first and foremost with the Eagles. There is a good reason for that. In 1994, the Eagles got back together with the release of the album, "When Hell Freezes Over", followed by a tour of the same name. That's right, they'd only get back together, "When hell freezes over". Letting loose: U2's "With or Without You"